We have become so accustomed to science by public institutions of higher education, and publicly funded science at private institutions , we easily forget that a century and a half ago this practice was unheard of. 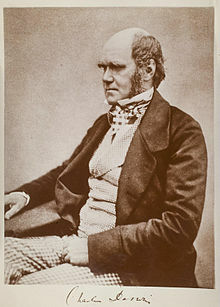 Charles Darwin was a man of some means who could quit medical school and sign on for the voyage of the Beagle. Beholden to no one, he refined his concept for a quarter of a century before publishing it. “Peer review” was written correspondence with colleagues. Darwin corresponded with Charles Lyell for decades about his thesis. “Publication” was an arrangement with a printer for some copies. Contrast the modern arrangement where a few sanctioned journals with rigid peer review policies charge the public for the privilege of reading the results they have paid for. Where the same journals and their reviewers frame the scientific agenda and dumbed down press releases to the media. Where “publish or perish” requires young investigators to tailor their work for short time frames and conformity to the paradigm. Before the twentieth century, science was not done at public institutions. It was done at private institutions and by private patronage. We have turned science into a government industry, and governments do not do industry well. By forcing our investigators to beg for public grants, we open the door for political control, and we beggar science. This entry was posted in Beggaring Science, Climate, Government Industry and tagged Charles Darwin, Charles Lyell, Peer review, Science as government industry, The Voyage of the Beagle. Bookmark the permalink.